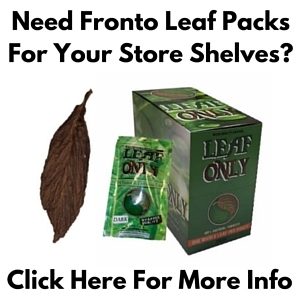 Our Mata Fina Brazilian Wrapper leaf is medium to dark in color, and medium in thickness. 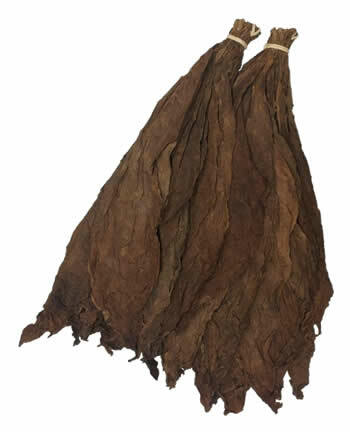 This tobacco leaf is grown in Brazil and has some similarities to the Brazilian Habano Viso. The leaves of this brazilian wrapper are smaller and slightly more distinctive in smell then other available cigar wrapper options. This is one of the few select Brazilian wrappers that we carry at Wholeaf. 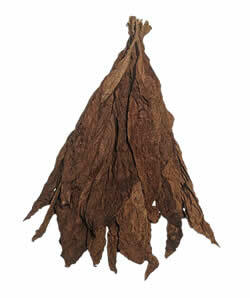 Our Brazilian Wrapper is one our newer whole leaf tobacco offerings. The leaves are somewhat small, but have a very nice medium to dark color. This leaf is reminiscent of its cousin, the Brazilian Habano Viso. It goes to show that certain aspects remain unchanged when growing in similar climates. This Brazilian Mata Fina leaf arrives tied in hands similar to most wrapper tobaccos, but can be used for all cigar rolling applications. We offer a wide variety of fillers, binders, and wrappers for making your own cigars – be sure to try them all to create some of the best personal cigars you’ve ever had! Approximate # of leaves per pound: 65 Approximate leaf dimensions: 18in. x 9 in. Interested in purchasing a quantity of Brazilian Mata Fina Wrapper at the incredible prices listed below? Contact us to set up your order now.